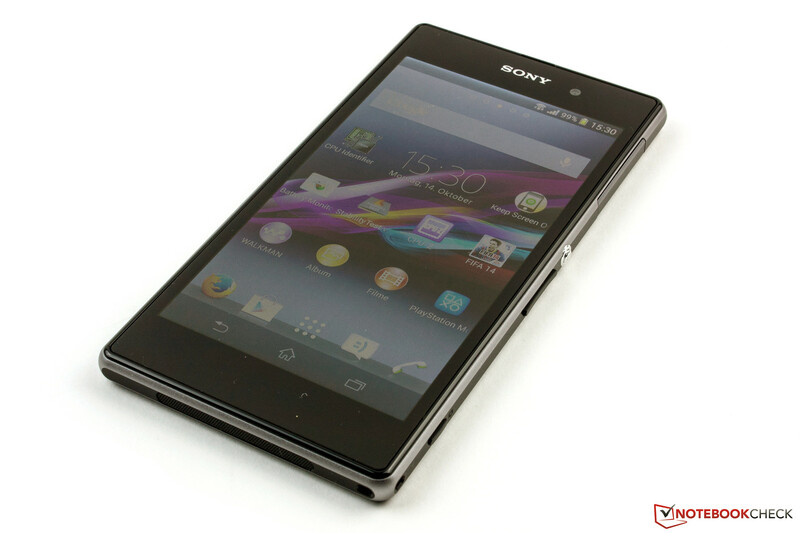 The Sony Xperia Z has already been on the market for half a year, and now the Xperia Z1 has become its first successor. At first glance, the two smartphones appear to be identical, but upon closer look it's clear that the outside isn't quite the same. The changes to the smartphone's inner life are even more substantial. Is it worth switching to the new device? And how does it do compared to the competition? 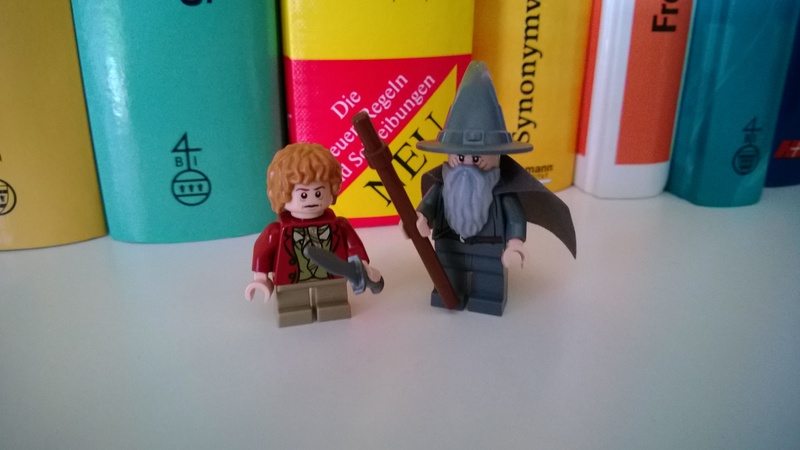 The competition is not only impressively broad, but also strong. The leading Android smartphones are currently head-to-head in the battle for the crown. For now, the Samsung Galaxy S4, the HTC One and the LG G2 are the devices against which Sony's new family member must measure up. But Apple's iPhone and the top devices with Windows Phone, like the Nokia Lumia 925 and 1020, are also competitors Sony has to take seriously. Glass and aluminum as far as the eye can see. The battery can't be switched out. 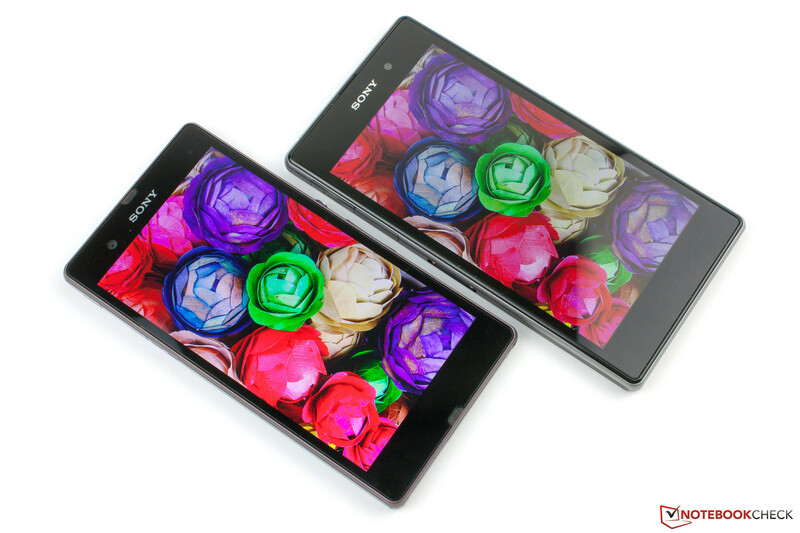 Countering the current trend, the Sony Xperia Z1 has grown a little compared with its predecessor. It now measures 144 x 74 x 8.5 millimeters (5.67 x 2.91 x 0.33 inches; L x W x H), which means it's bigger on every side. In terms of weight, the Z1 now weighs 23 grams more (0.02 pounds) and comes to a total of 169 g (0.37 lbs). The main reason for the extra weight is likely the significantly larger battery. The frame around the display has also grown for the same reason. The device feels good in your hand and gives you the sense that it's very well-made. This impression is deepened by the high-quality materials Sony selected. The front and back sides are made of scratch-proof mineral glass. 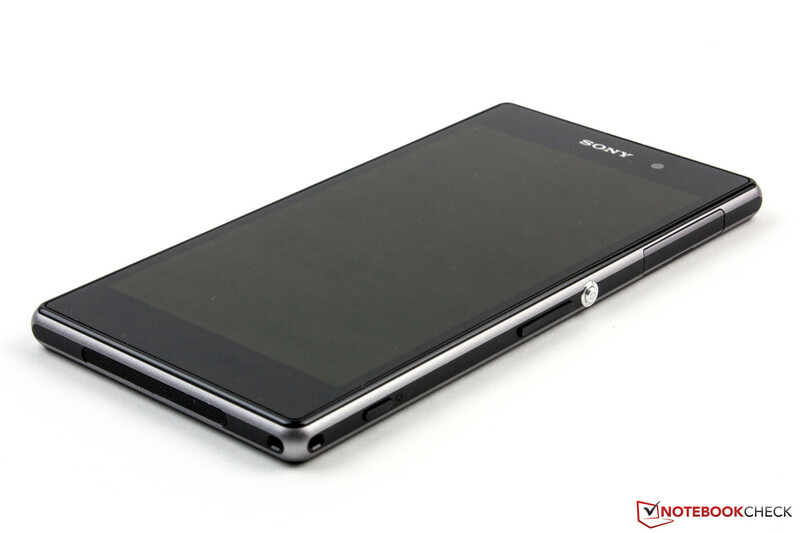 Unlike the Xperia Z, rather than plastic, the frame is made of matte gray aluminum. The smartphone feels very stable and is hard to twist, though it crackles audibly if you manage it. When you put pressure on the backside of the case, wave formations appear on the display. Still, the device seems solid, and we'd be more concerned about damaging the floor than the phone if we were to drop it. The IP certification is a little broader. Along with its IP5X specification against harmful dust deposits on the inside of the device, the Z1 is also IPX8 certified. That means the phone is protected against the penetration of water no matter how long it remains immersed. The Xperia Z and the Galaxy S4 Active are only protected against brief water immersion. 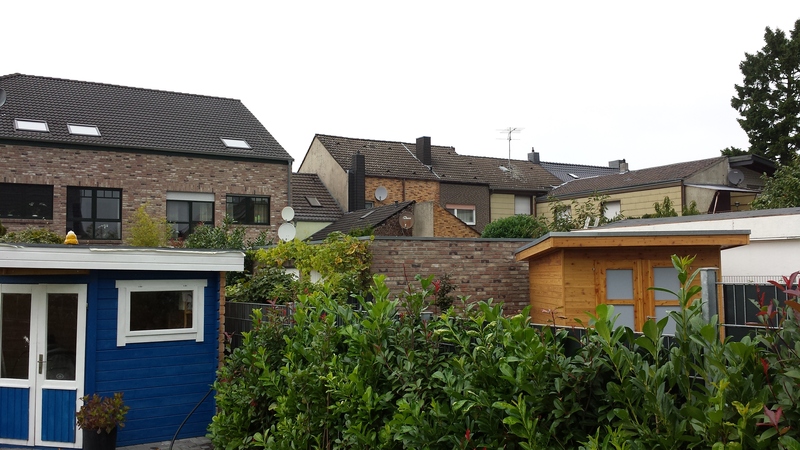 In comparison: The Sony Xperia Z1 (below) vs. Xperia Z. The device's connectivity options mirror those of its predecessor. 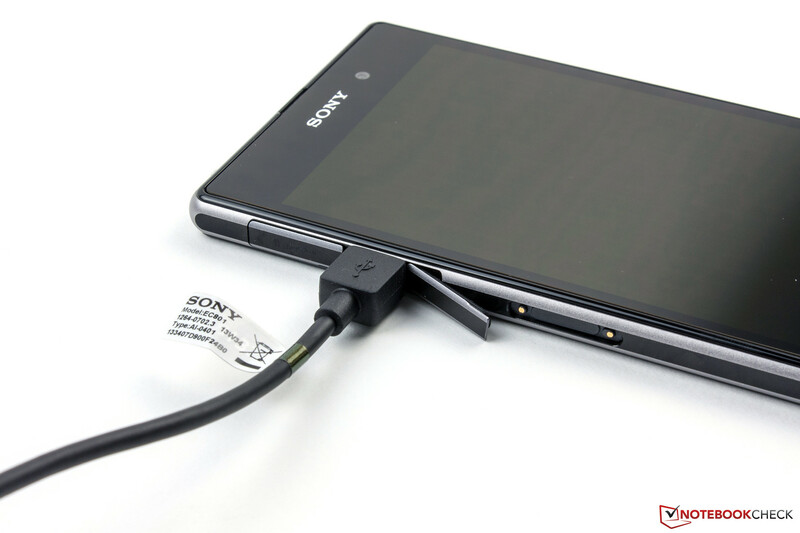 The USB 2.0 port serves both as the Sony Xperia Z1's charging port as well as video output via MHL 2.0. DLNA and Sony's MirrorLink are also supported. A Dualshock 3 controller can also be connected through the USB port. If you wirelessly transmit the display content to a compatible television, you have a pocket-sized gaming console. Top: The audio port is no longer covered. 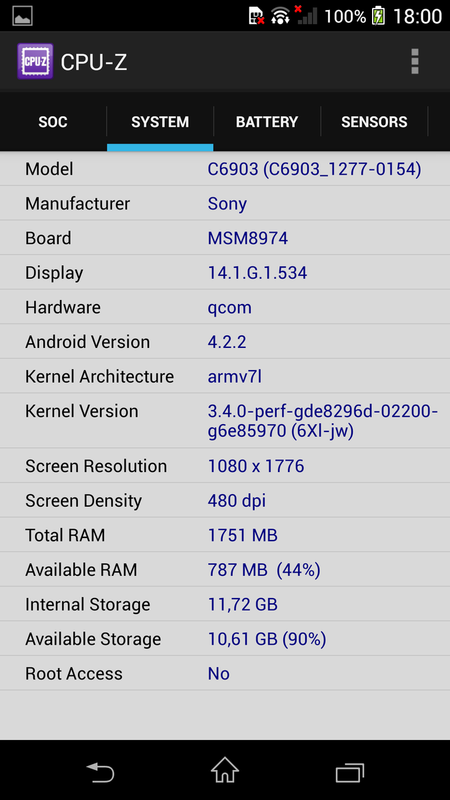 For their operating system, Sony selected Google's Android 4.2.2 with Sony's own UI. 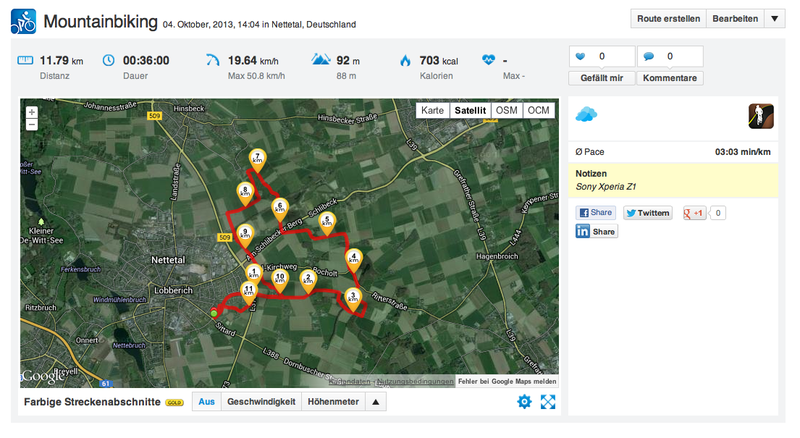 Useful widgets make the interface attractive, though all in all it has a modest appearance. The Japanese company's media programs, like Music and Video Unlimited, are also preinstalled. 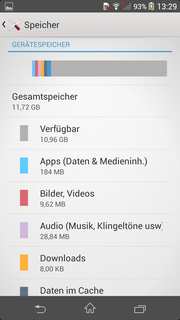 There's also some bloatware, though less than we found on the smartphone's predecessor. As of now, Sony has not yet communicated when and whether they will release an update to a newer version of Google's operating system. 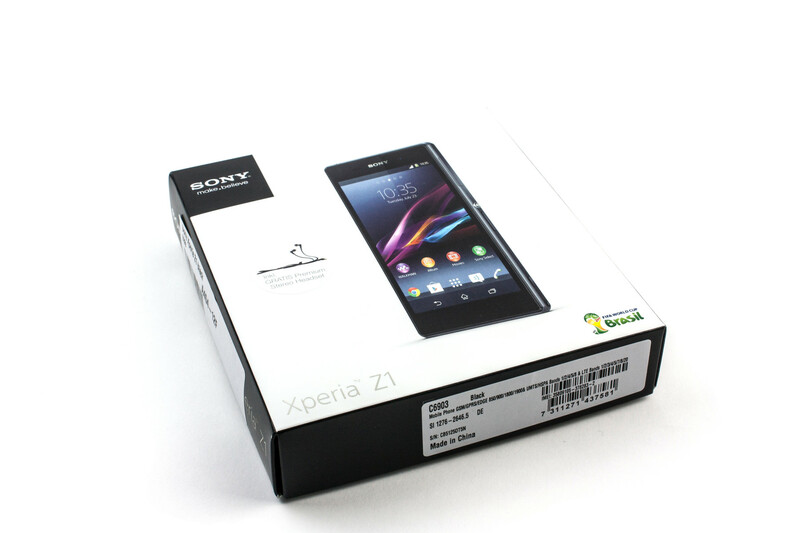 In terms of communication features, the Sony Xperia Z1 has even more to offer and houses the most current technology. The WLAN module supports the IEEE 802.11 standards a/b/g/n/ac and transmits over the frequency bands 2.4 and 5.0 GHz. Unfortunately, the WLAN module's reception range leaves something to be desired. Only ten meters away the signal already waned noticeably, and at a distance of 20 meters it was no longer possible to load a website. On the go, the smartphone can connect to the internet via UMTS/HSPA+. LTE is also on board -- the newest Category 4 standard to be precise. This LTE standard allows for a downstream speed of up to 150 MBit/s. The smartphone now covers a much broader range of frequencies, so the device shouldn't have any wireless compatibility problems anywhere. 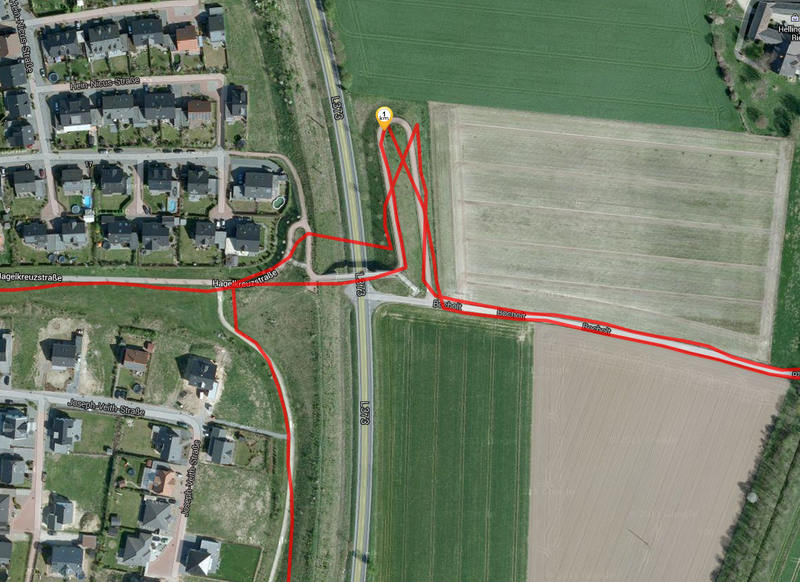 The smartphone determines its location via GPS and Glonass. It works reliably even indoors. 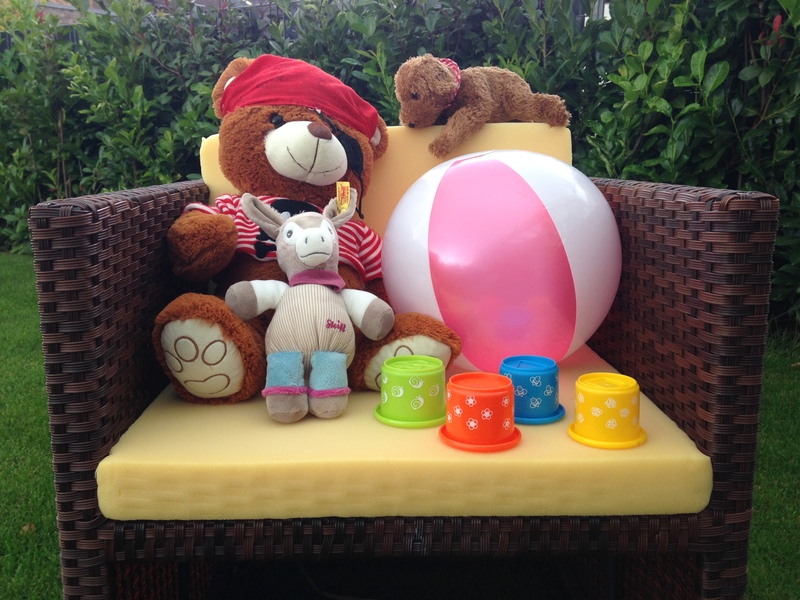 Outdoors, the device ascertains its position very quickly. 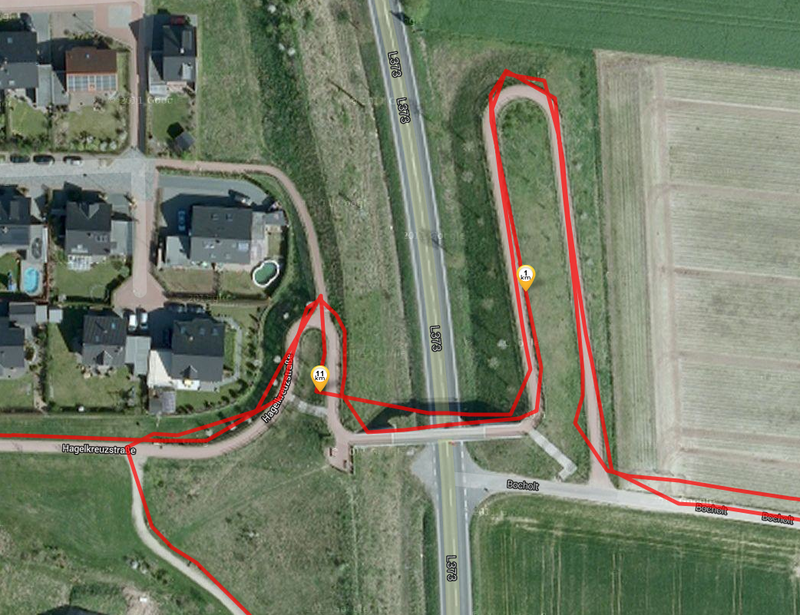 To test it further, we biked through a partially forested area with a navigation device from Garmin as our reference. 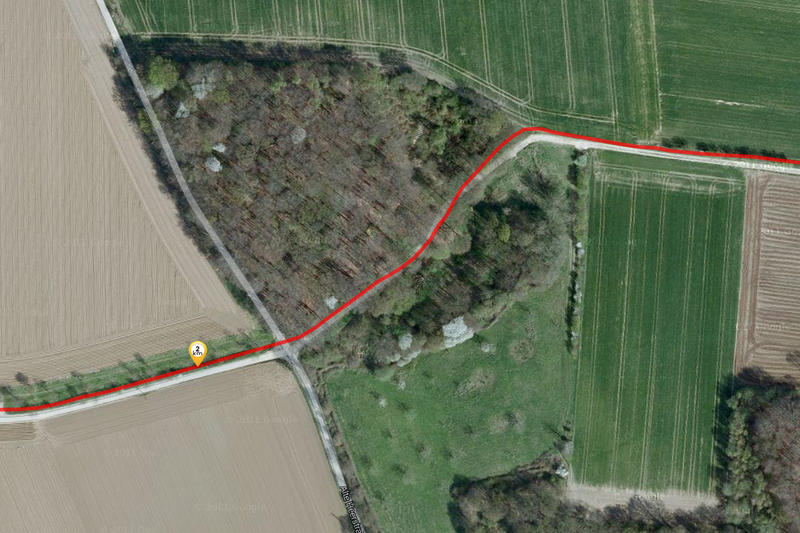 We observed that the Z1 wasn't very exact in its determination of our position, and sometimes diverged significantly from our actual path. 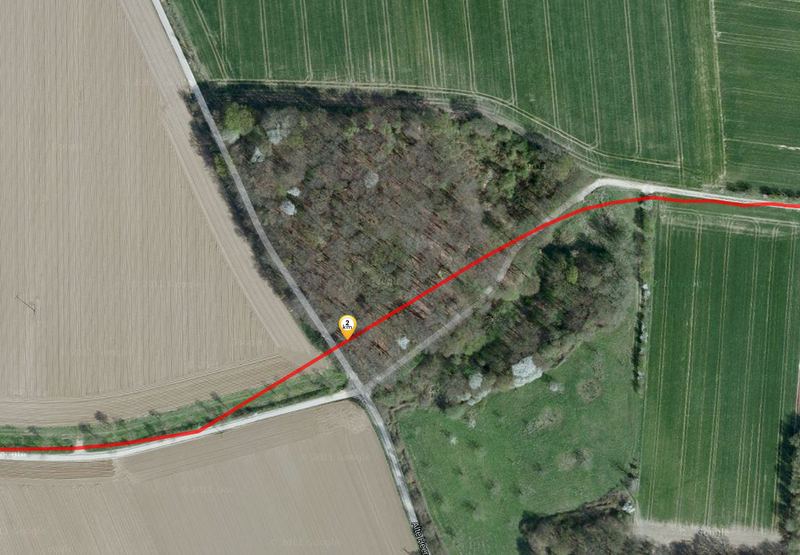 The GPS module proved to have particular difficulty with adjacent routes and inside the forest. Sony only made minor modifications to the appearance of the Android telephone app, leaving it comfortably familiar. Calls can be simply made, taken or ignored. The proximity sensor works flawlessly and prevents unintended input. When you hold the device directly to your ear, the phone's voice quality is very good for both conversation partners. The speakerphone also functions excellently, though we sounded a little quieter on the other side. The Xperia Z1's speaker performed its job perfectly. Things were a little different with the headset. While we could hear our conversation partner well, the microphone cut out several times. 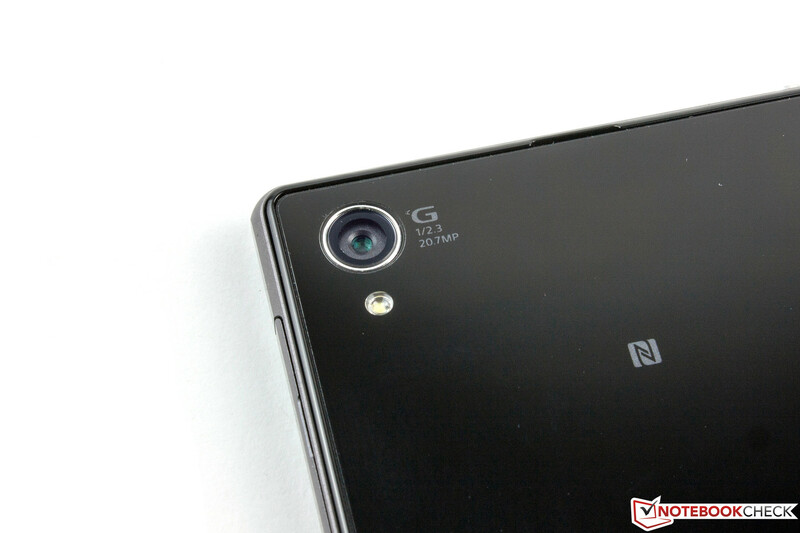 The main camera on the backside of the Sony Xperia Z1 has a resolution of 20.7 MP (5248x3936 pixels, 4:3). 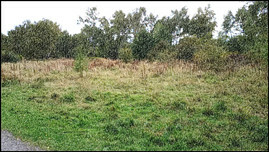 However, this resolution is only available in manual mode. 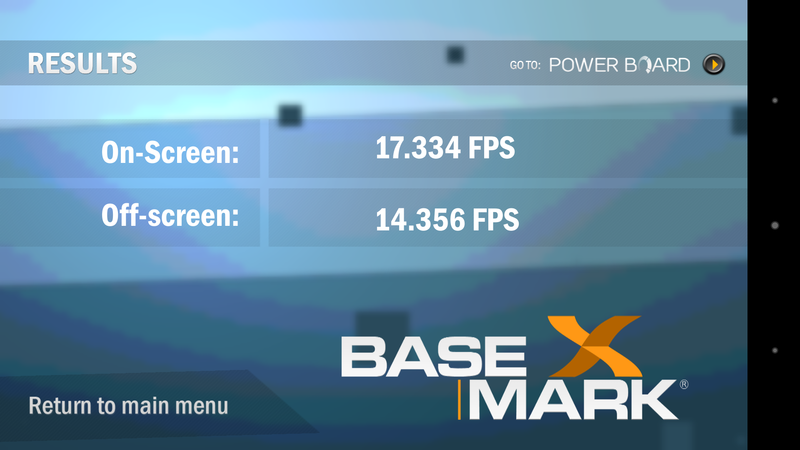 If you shoot on the automatic presets, the camera uses a set resolution of 8 MP (3840x2160 pixels, 16:9.) 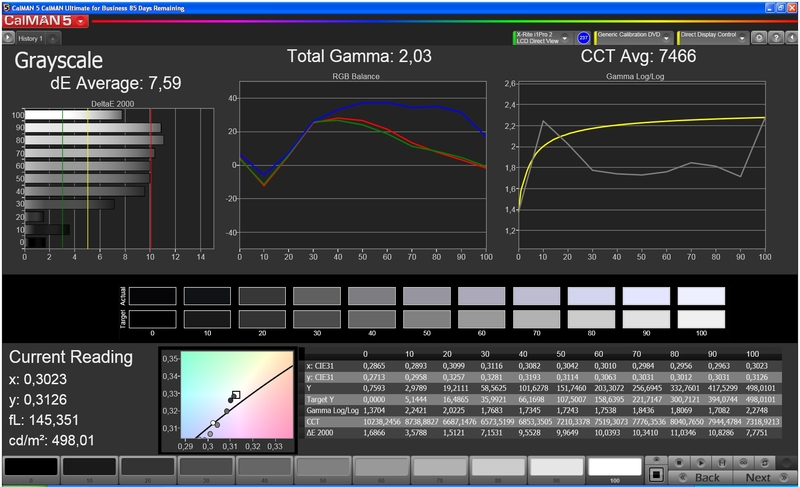 The Exmor RS sensor is intended to produce especially high-quality images. 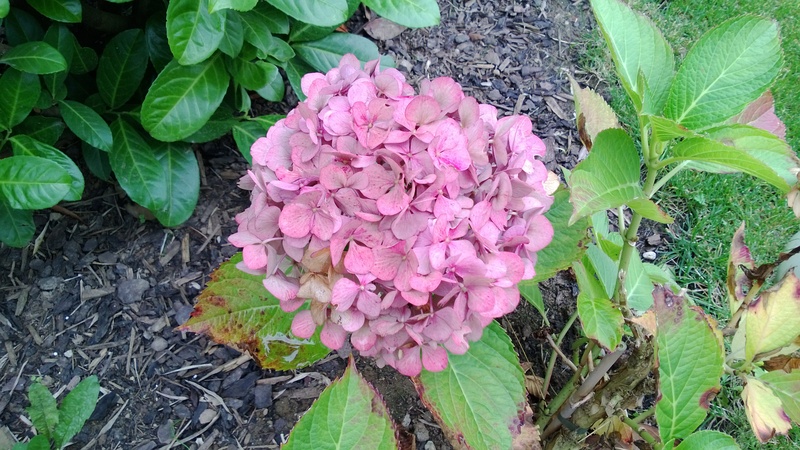 Sony even boasts that they have the best camera in a smartphone. Indeed, in good lighting situations, the lens' results are very good. 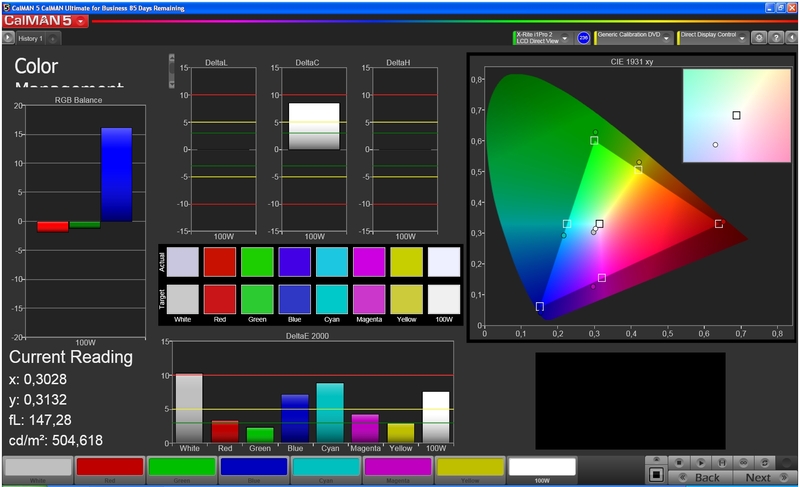 The color representation is excellent and the images are nice and sharp. 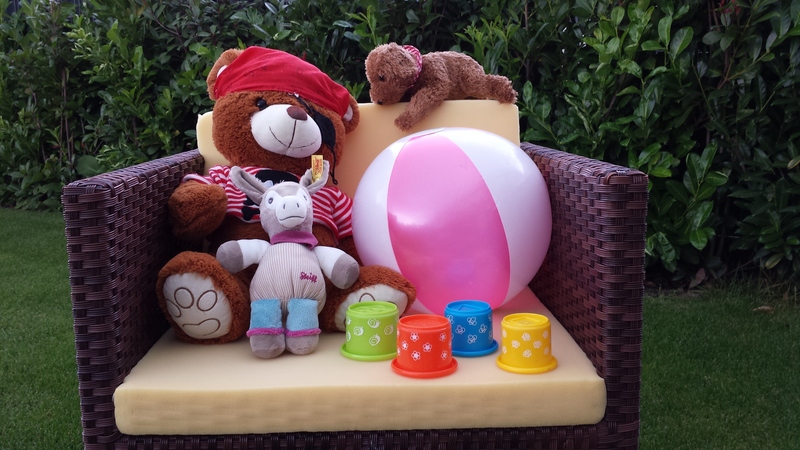 Here the Z1 proves to have a real edge on the competition and produces the best pictures in comparison. 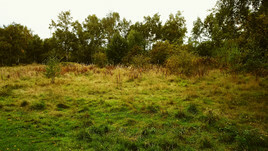 In weak light, however, there tends to be some noise in the camera's images. 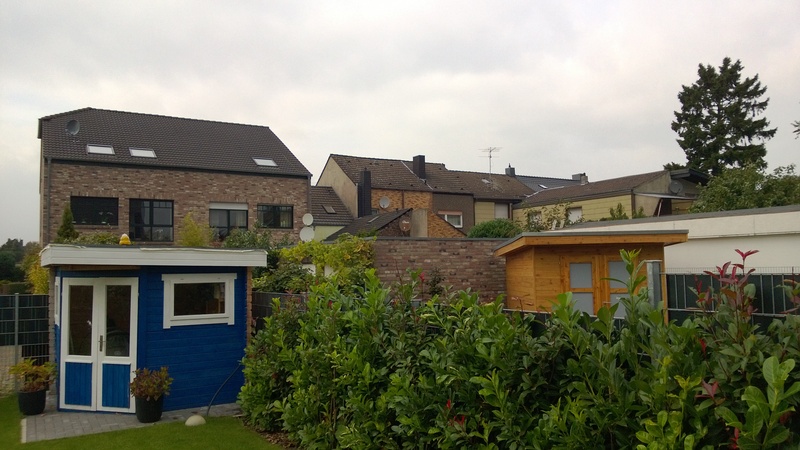 Here the Nokia Lumia 920 shows off its talent, as it takes significantly better pictures in this environment. 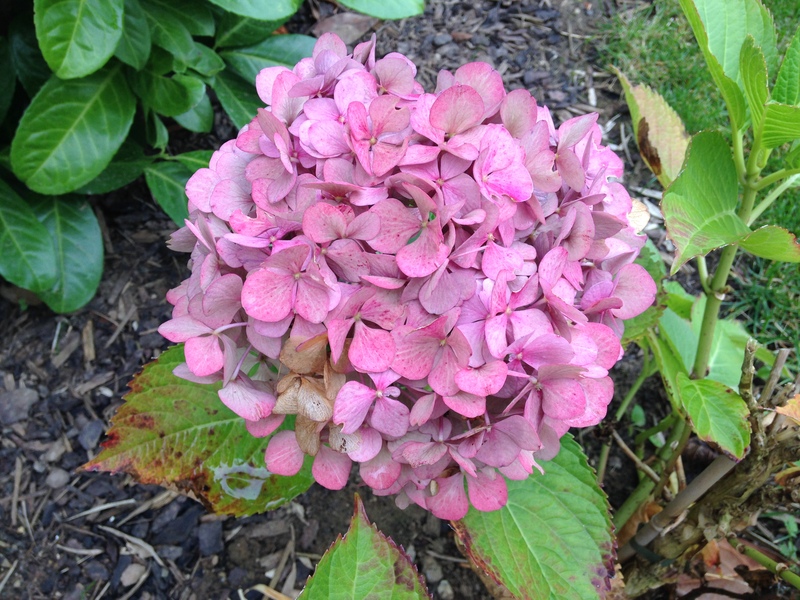 The camera's various modes are a lot of fun to use and deliver good results. 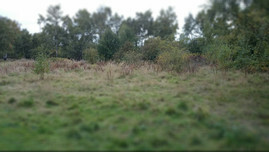 Our sole complaint is that the panorama mode could be a little less finicky and have a higher resolution. When it comes to accessories, Sony slimmed down their package since the Xperia Z. Our review device was accompanied by nothing more than a modular power supply with a power rating of 7.5 watts (5 V, 1.5 A) and a headset. A docking station (35 Euros, ~$48) and SmartTags (starting at 15 Euros, ~$20) are only available as additional options. Owners of the predecessor who wish to switch to the newer model can no longer use the old docking station, as the connector is slightly different. This is quite a shame, since the USB port didn't have to be constantly accessible in order to charge the device on the old docking station. Sony offers a wide array of optional accessories, including a SmartWatch (179 Euros, ~$246), a Miracast receiver (99 Euros, ~$136) and numerous tripods, speakers and camera accessories. Sony outfits their Xperia Z1 smartphone with a 24-month warranty. The battery and accessories are under warranty for twelve months. For customers in Austria and Germany, the two year mandatory sales warranty also goes into effect. 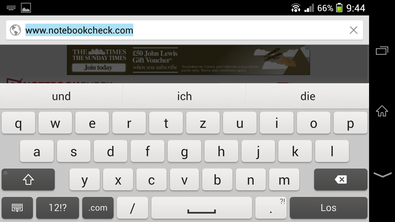 For text input, the Sony Xperia Z1 has a virtual keyboard. Thanks to its large display, the keyboard is big enough even in portrait format to type comfortably with one hand. 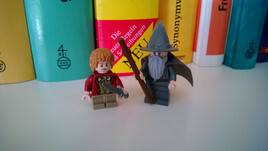 Those who like to use both hands will prefer to use the keyboard in landscape format, as the keys are considerably larger, though the screen content is unfortunately hardly visible in that scenario. The capacitive touchscreen functions impressively well. It proves to be very precise and reacts swiftly. There's nothing to complain about here. Unfortunately the display, like the glass backing, shows fingerprints very easily. The unusual placement of the power button and volume rocker is very sensible and makes one-handed operation much easier. 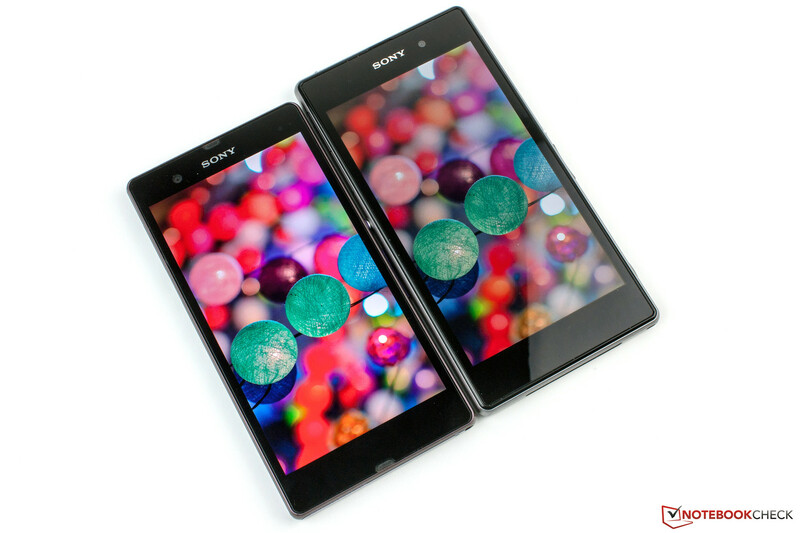 The Sony Xperia Z and Z1 have different panels. 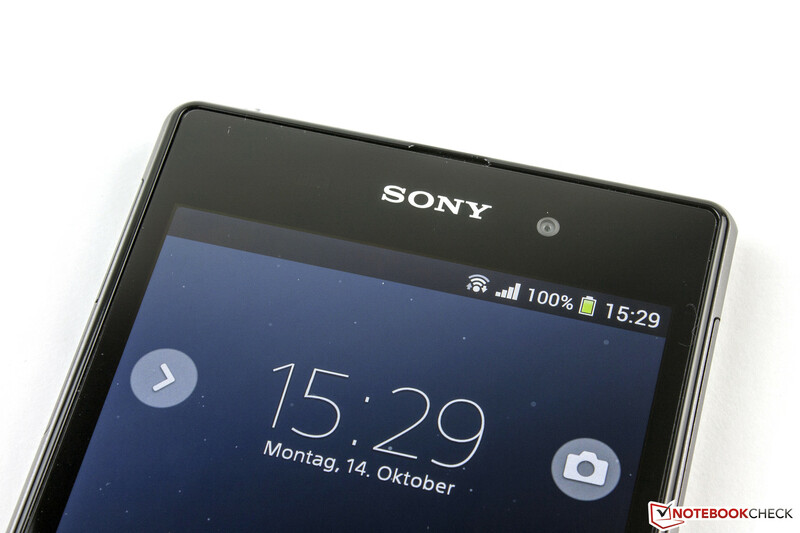 The Sony Xperia Z1 has a 5-inch Full HD panel (1920x1080 pixels). That corresponds to a format of 16:9 and a pixel density of 441 PPI. Like its predecessor, the screen image looks pin-sharp and subjectively appears to display brilliant colors. But the technology behind the glass has actually changed. 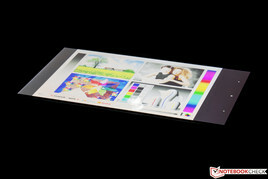 Instead of the Mobile Bravia Engine 2, the new device is outfitted with a TFT screen with Triluminos technology. 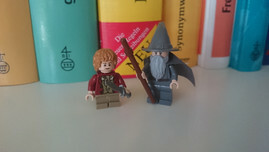 In direct comparison, the colors aren't as saturated as they were on the predecessor, and they appear more natural. This is especially noticeable if you run films on both devices and hold them up to each other for comparison (see the above video). 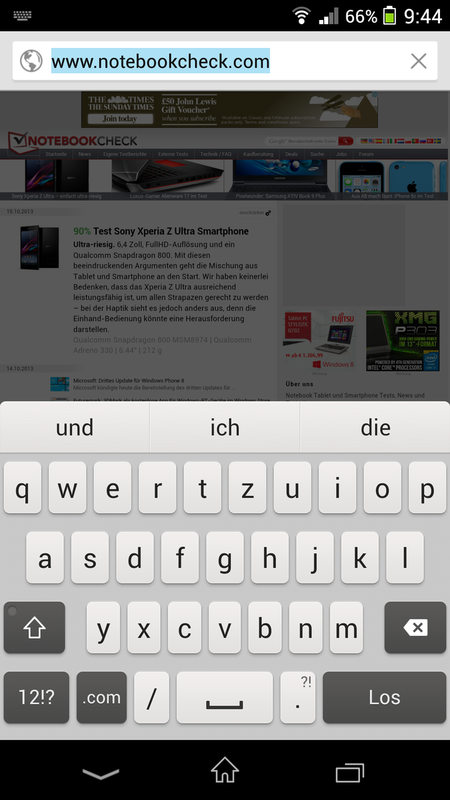 In terms of brightness, the Z1's display proves to be even brighter than that of the Xperia Z (max. 452 cd/m²) and reaches an average of 496 cd/m². No other crème de la crème smartphone reaches such a high number. Even the brightness masters, the iPhone 5 (487 cd/m²) and the HTC One (489 cd/m²) are a little bit dimmer. 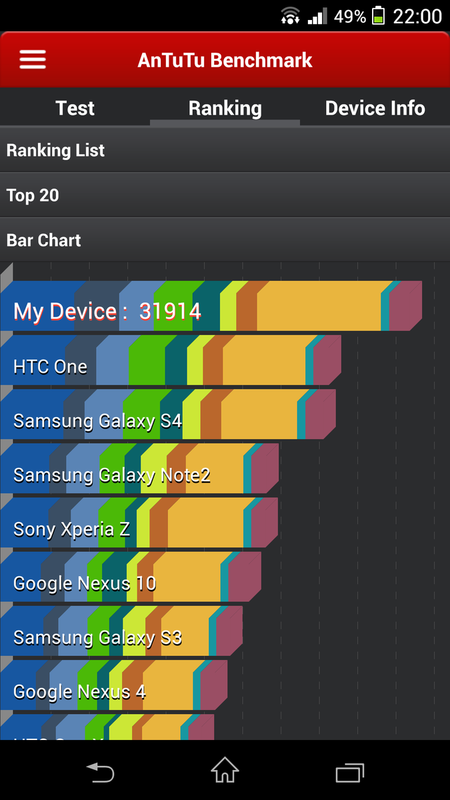 At an 89% similarity across the screen, the Z1's brightness distribution is fairly even. 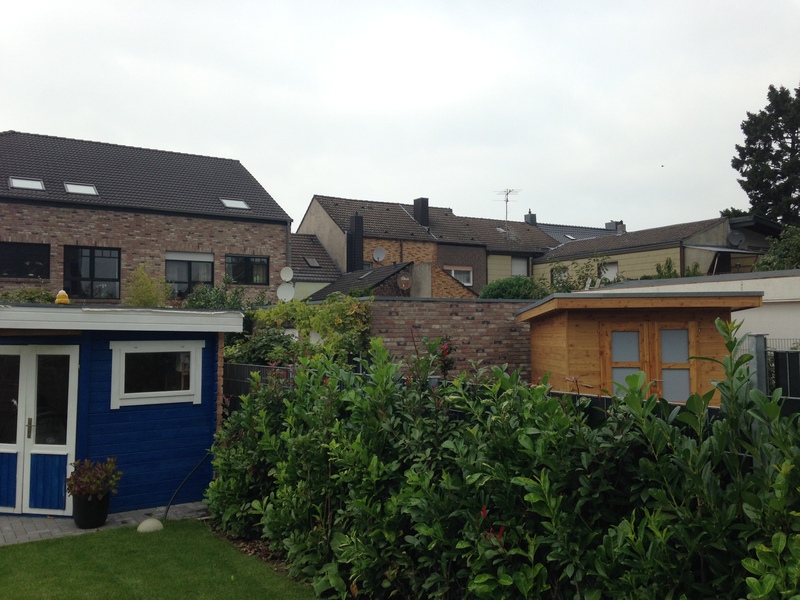 Despite its high brightness level, the Xperia Z1 only reaches a comparably low contrast ratio of 561:1. This value is lowered by the middle-of-the-road black value (0.9 cd/m²), but it's still respectable. 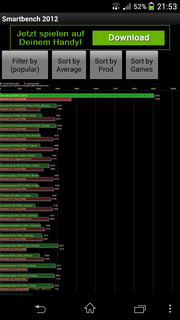 Our review device can't hold a candle to the HTC One (0.23 cd/m², 2117:1) or the LG G2 (0.33 cd/m², 1085:1) here. 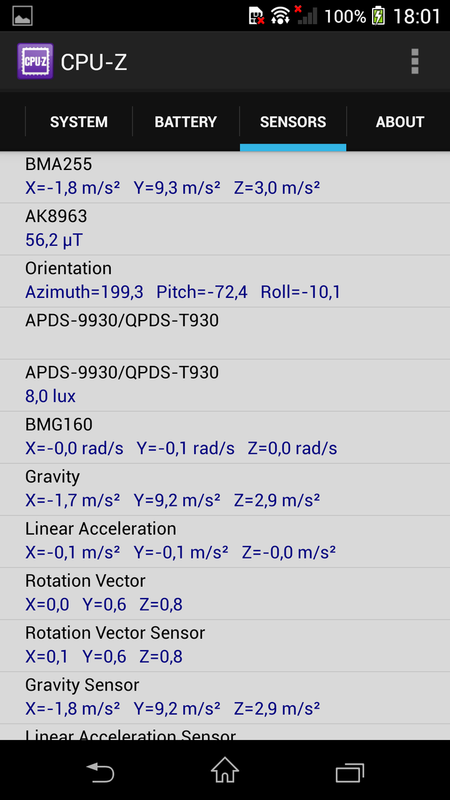 In this discipline, the smartphones with AMOLED technology, like the Galaxy S4 or the Lumia 1020, play in a whole other league -- the contrast ratio can't even be measured for these devices, as the black pixels actually turn off. 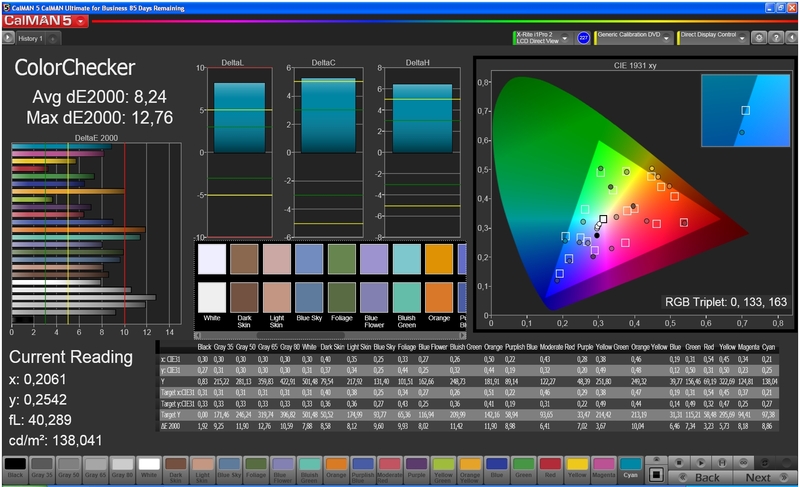 Sony doesn't make any official statements in regard to the smartphone's color space coverage. The panel certainly isn't well-calibrated. 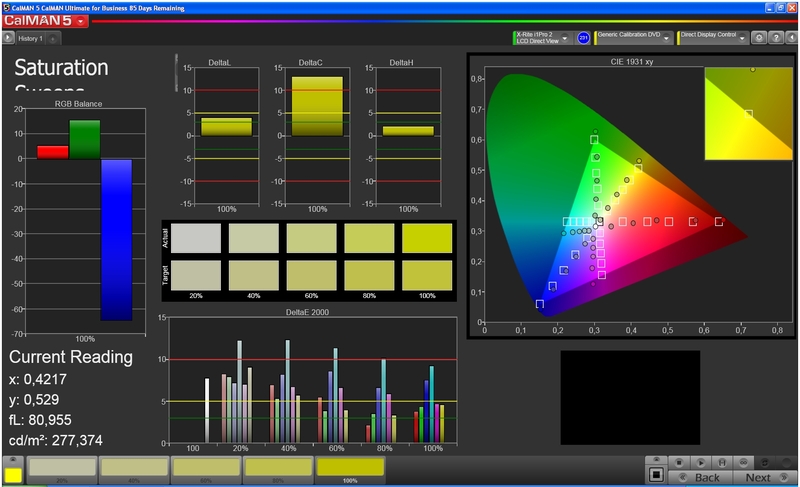 In ColorChecker, the displayed colors deviate from the target values by up to a DeltaE of 12, the greater deviations pertaining to orange and cyan. 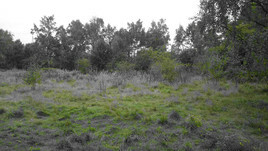 The grayscale isn't much better -- here too ColorChecker shows a DeltaE of 11. The screen also has a slight blue cast. Subjectively, however, there doesn't appear to be anything wrong with the display. 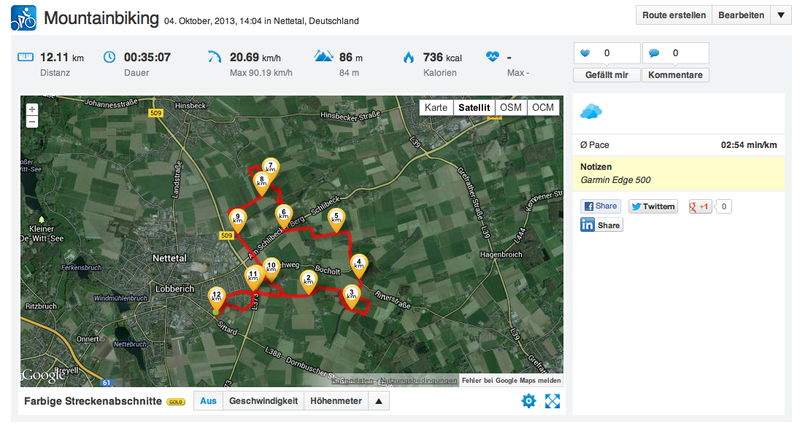 The Sony Xperia Z does very well in outdoor use. The panel is easily visible even in bright lighting conditions. In direct sunlight it's hard to see the display content -- a better contrast ratio certainly would have been beneficial here. But due to its record-high brightness level, the smartphone is well-suited to any lighting environment. 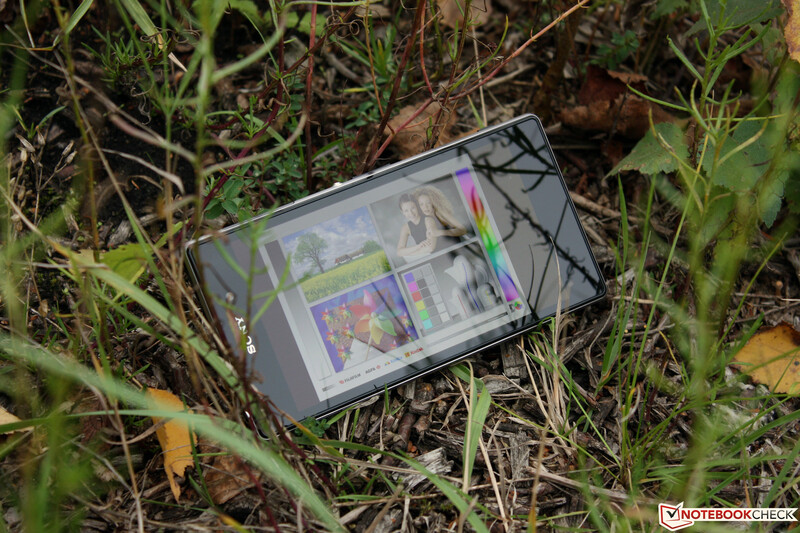 The Sony Xperia Z1 outdoors. 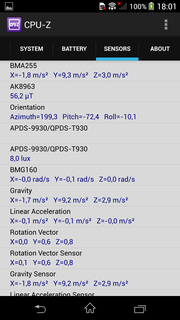 Viewing angle stability, Sony Xperia Z1. Compared to the Sony Xperia Z, the Xperia Z1's viewing angle stability unfortunately hasn't improved. At a tilt of 15°, a slight gray fog is already visible on the screen. At very flat viewing angles the display image isn't completely distorted, but there are obvious color inversions. The TFT technology Sony used isn't generally regarded as especially good for viewing angle stability, but all the other devices that employ this technology, like the Samsung Galaxy S4 Active, aren't plagued with the same problem. From a display specialist like Sony, we expected more here. 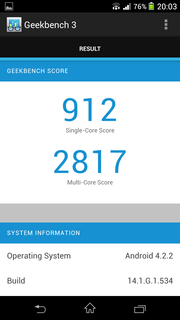 The Sony Xperia Z1's computations are performed by Qualcomm's fastest SoC to date. 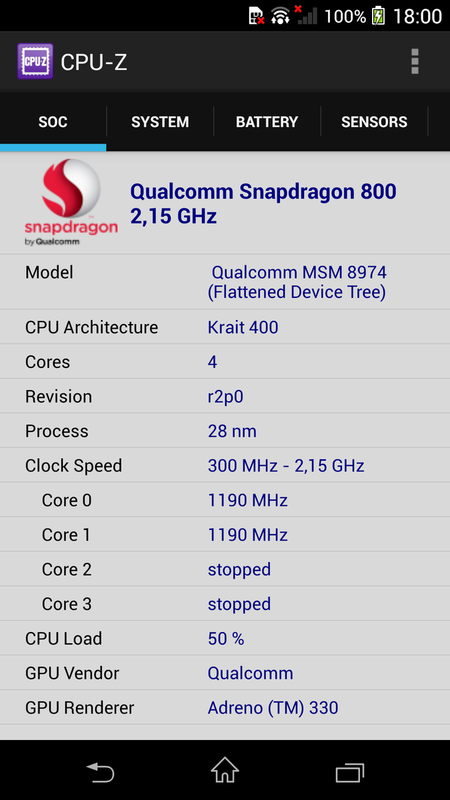 The Snapdragon 800 MSM8974 clocks at up to 2.15 GHz and has four cores. The lightning-fast Adreno 330 serves as the graphics unit. 2 GB of working memory also stand at the ready. 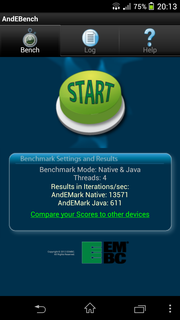 The smartphone is wired for good results in our benchmarks, and indeed, the Z1 achieves quite respectable results in our synthetic performance evaluations. 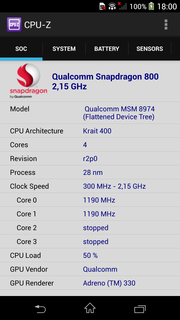 It even beats out the Xperia Z Ultra (Snapdragon 800, 2.2 GHz) and the LG G2 (Snapdragon 800, 2.3 GHz), which should be the faster models on the basis of their specs. This could be related to more effective cooling. 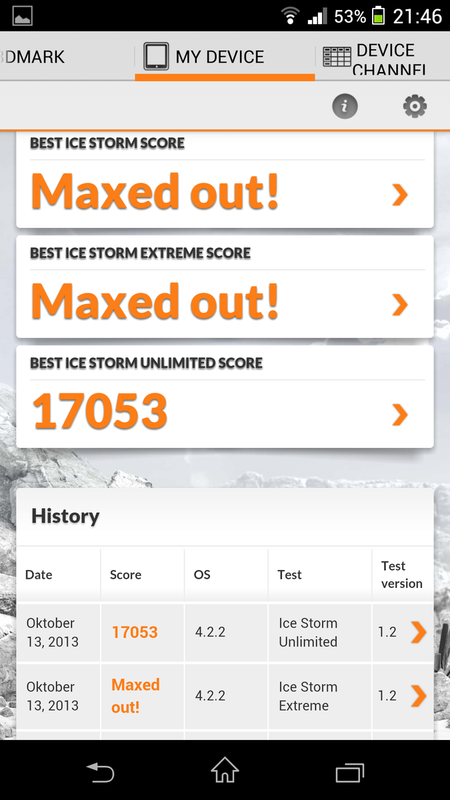 In the 3DMark benchmark, in both Ice Storm and Ice Storm extreme, the Z1 reaches values that can no longer be measured (maxed out!). The Unlimited test is the only one with a numerical result (17053 points). 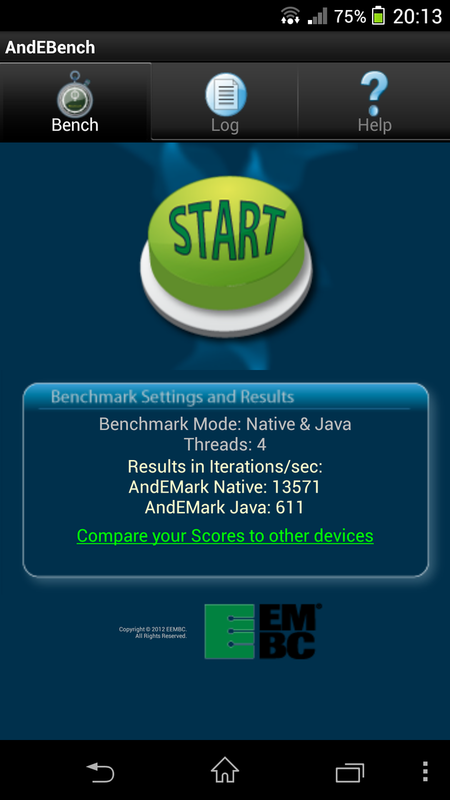 We used Google Chrome 30 for the browser benchmarks. 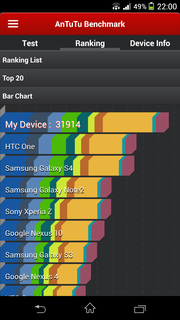 Here too, the Sony Xperia Z1 leaves some of the competition in the dust. In the Peacekeeper test, only the iPhone 5c proves to be quicker. However, this test is highly dependent on the browser in use. 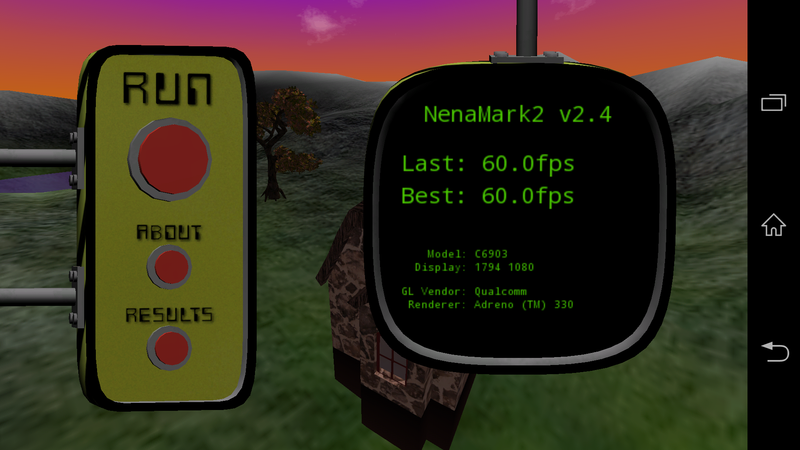 For instance, running Firefox, our test device only reached 633 points in the Peacekeeper benchmark. 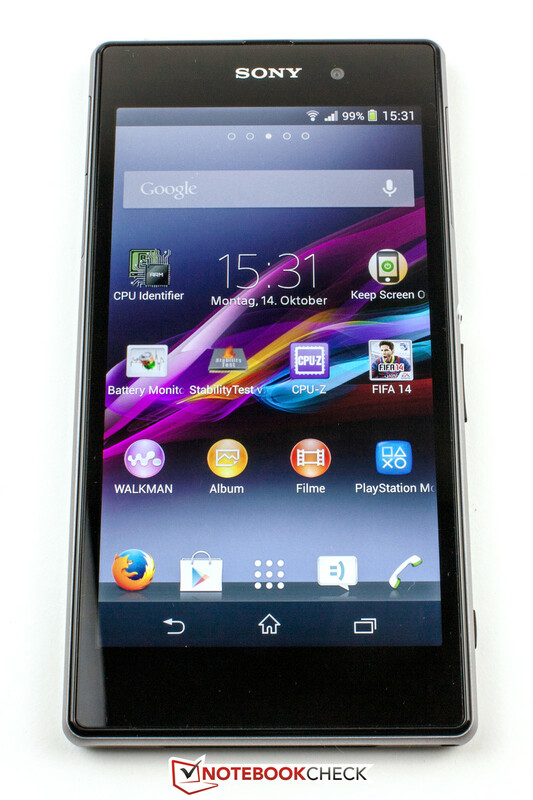 The Sony Xperia Z1 has 16 GB of flash memory, about 11 GB of which remains available to the user after the first start-up. The internal memory is very fast and performs well compared to the competition. When it comes to write rates in particular, no one can hold a candle to the Z1. In reading, however, the LG G2 is considerably quicker. 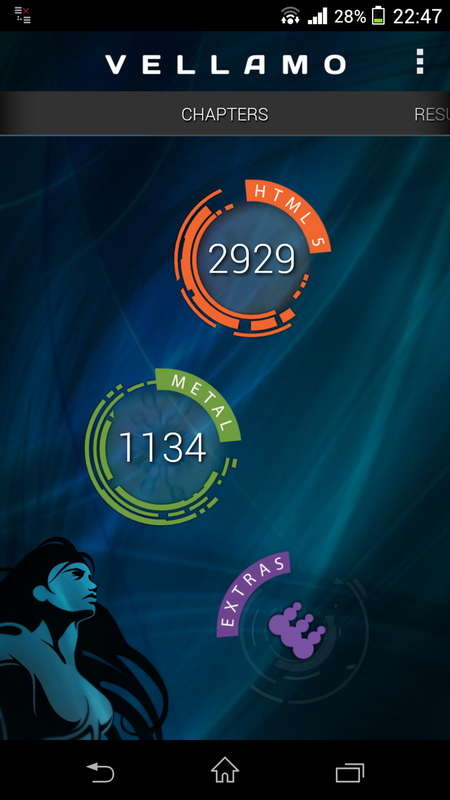 Thanks to the smartphone's high-performance Qualcomm Adreno 330 current games are no problem for the Sony Xperia Z1. 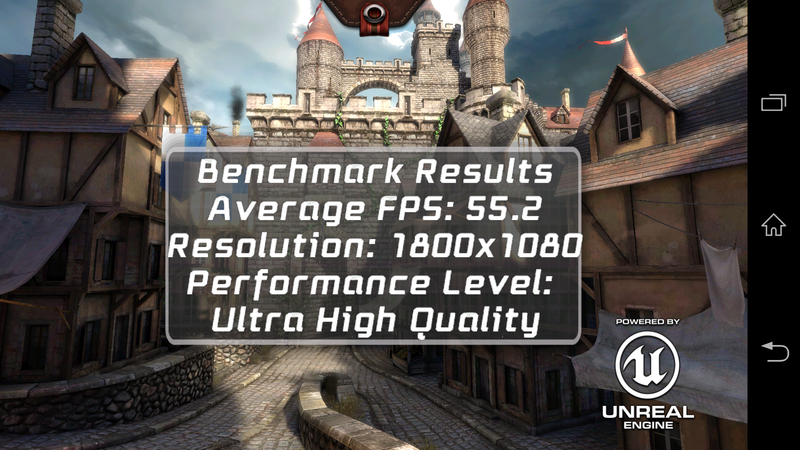 The graphics unit offers plenty of mobile gaming power and supports OpenGL ES 3.0. 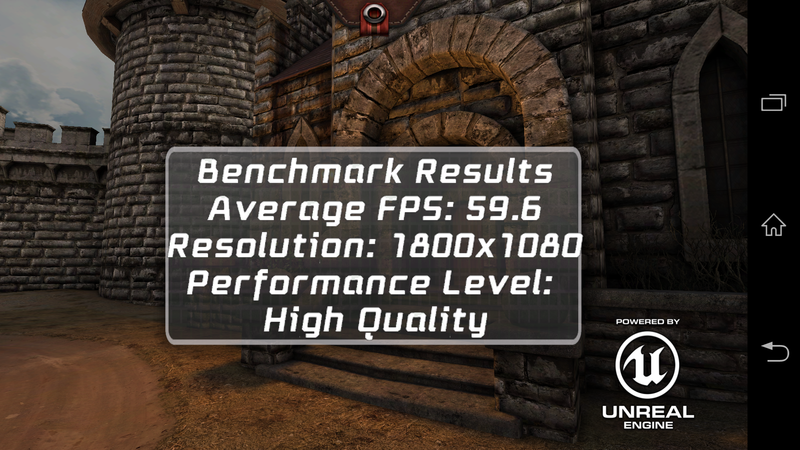 As a result, the Z1 reaches good numbers in the graphics benchmark Epic Citadel. 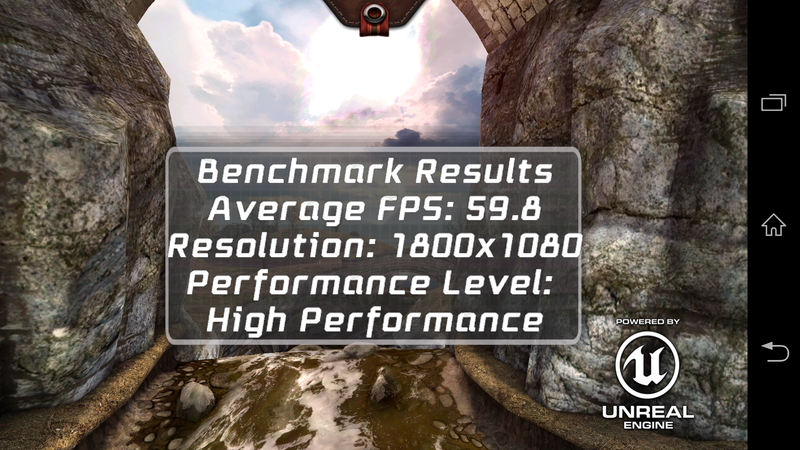 Even in the Ultra High Quality Test, the frame rate is a high 55 fps. 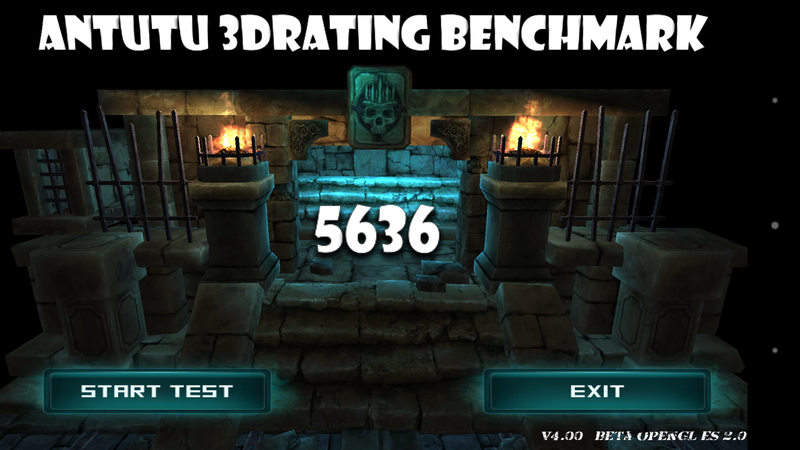 Our test device masters all kinds of games. The sensors and the touchscreen function flawlessly and facilitate a fun gaming experience. If you send the picture to a TV using Miracast and connect a Dualshock 3 controller to the Z1, you can even play with that console feeling. 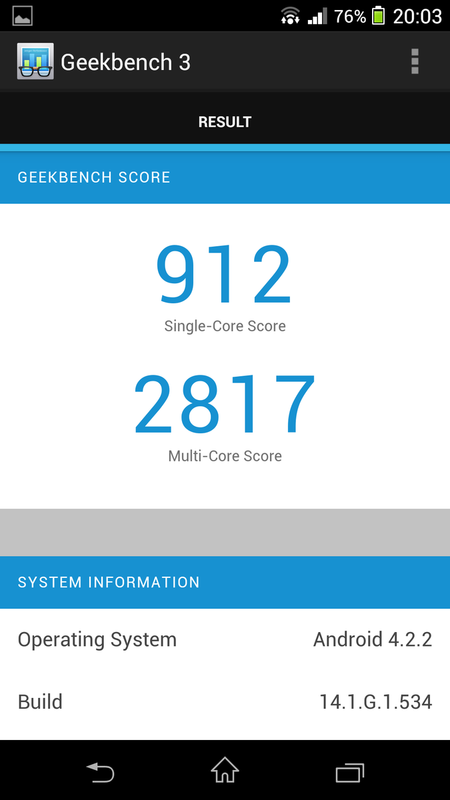 The Xperia Z1's cooling is somewhat superior to that of its predecessor, but the device still produces a comparably high amount of heat. The smartphone reaches up to 35 °C (95 °F) in idle mode. Under load, the device reaches its peak heat of 43 °C (109.4 °F) in the area held to the ear. If you've just played on the phone for a long time, we recommend exercising caution when taking a call. Fear of injury is unnecessary, however. The big speaker on the bottom side of the Xperia Z1 does a reasonably good job. 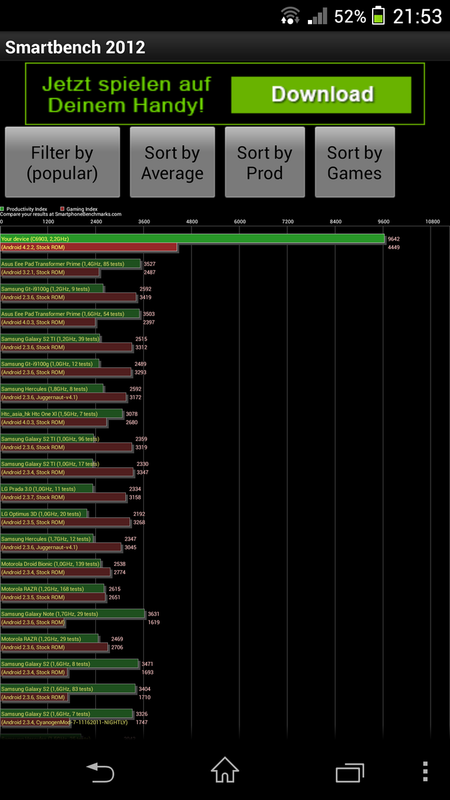 The high tones could be a little clearer, but mid and bass tones are easily discernible. An owner of this device would be well-equipped to watch the occasional film on the go. The headphones included in the packaging sound surprisingly good. The high tones sound agreeable, and the bass tones are comparably rich. 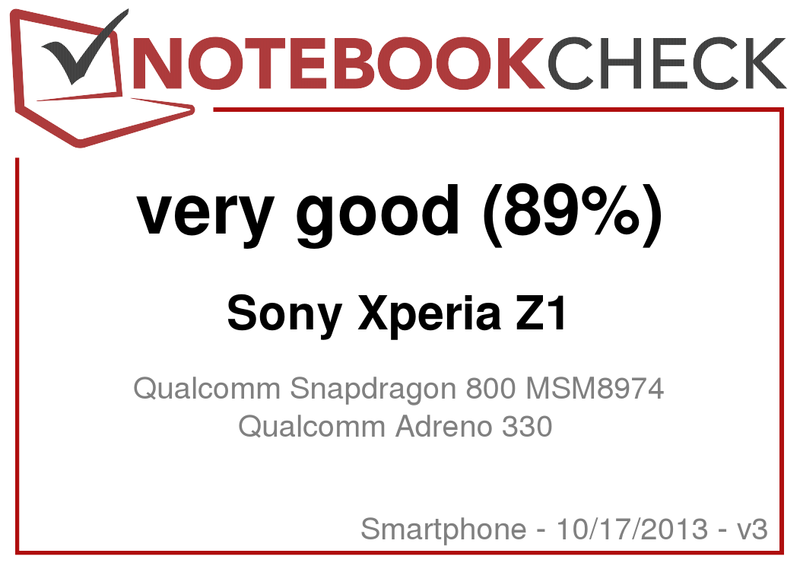 Sony managed to sink our test device's energy consumption rates considerably in comparison to the Xperia Z, but some of them are still substantially higher than those of the competition. 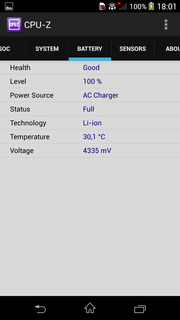 In idle mode, the Z1 needs between 1.2 and 2.2 watts -- the LG G2, however, can do its job with just 0.4 to 1.4 watts. Under load, the smartphone's energy consumption rates rise to up to 5.7 watts. The display appears to be the main culprit here, as the S4 Active (max. 6.5 watts) has the same problem and is outfitted with the same panel technology. Sony built a 3000 mAh battery into their Xperia Z1 (no other specs are listed). We determine the device's minimum battery life with the panel brightness set to maximum and all the wireless modules activated. The smartphone ran out of steam after a little over three hours. That's a good result, though other top devices keep chugging along for an extra half hour. In the WLAN test, which is meant to simulate practical everyday use, we set the panel brightness to 150 cd/m² and use a program to load a new webpage every 40 seconds. Here our review device holds out almost 13 hours. This is a very good result, though again, the LG G2 (17 hours) outstrips the Z1 by a substantial margin. The Z1's maximum battery runtime isn't much higher -- it's over for the smartphone after just one more hour. To fully recharge the battery, the device must be connected to the power supply for about 190 minutes. 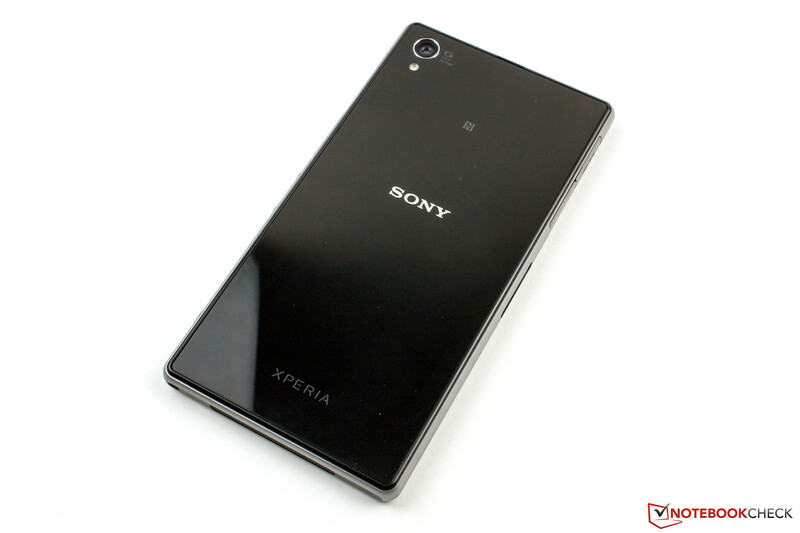 The Sony Xperia Z1 is a well-executed renovation of the Xperia Z. The smartphone is a little heavier and bigger, most noticeably in the area around the display, but the bulked-up device feels a little more costly and robust. Our strongest criticism still pertains to the panel. The mediocre calibration wouldn't be too much of a problem, were it not for the comparably bad viewing angle stability, the slight blue cast and the high black value. The review device loses enough points in those three areas to take a significant hit in its overall grade. Otherwise, Sony does everything right. The manufacturing quality is excellent, and the performance is stellar. 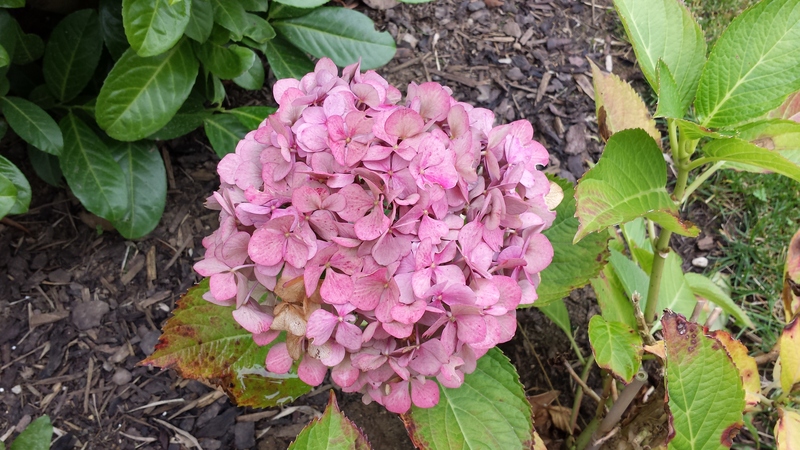 The smartphone also has a very good camera that can take great pictures. 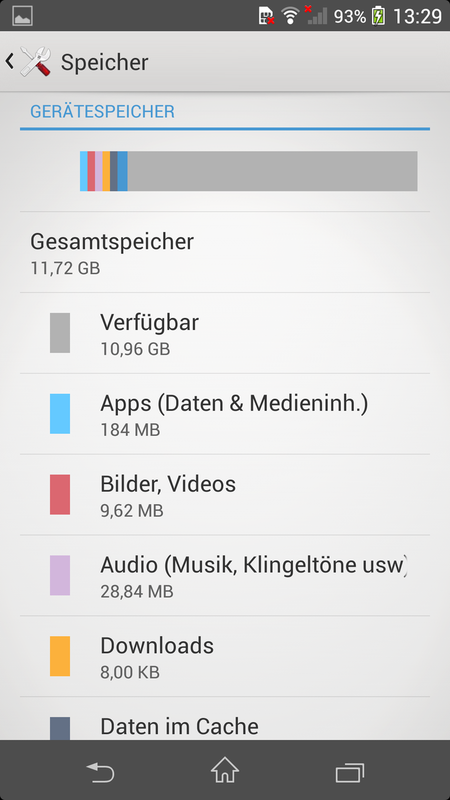 The memory space is ample and even expandable. The device is also exemplary in the broad range of wireless frequency bands it supports. If you're looking for a high-end smartphone to call your own and would like it to be IP certified, yet elegant -- and if the limited panel quality doesn't put too much of a damper on things for you -- the Xperia Z1 is an excellent option. The display has a resolution of 1920x1080 pixels. Unfortunately, it still doesn't have stable viewing angles. Head on, the panel looks very bright. The webcam has a resolution of 2 MP. The SD slot and USB port are hidden under covers. A micro SIM card is necessary. The device is charged through the USB port. The mineral glass shows fingerprints. 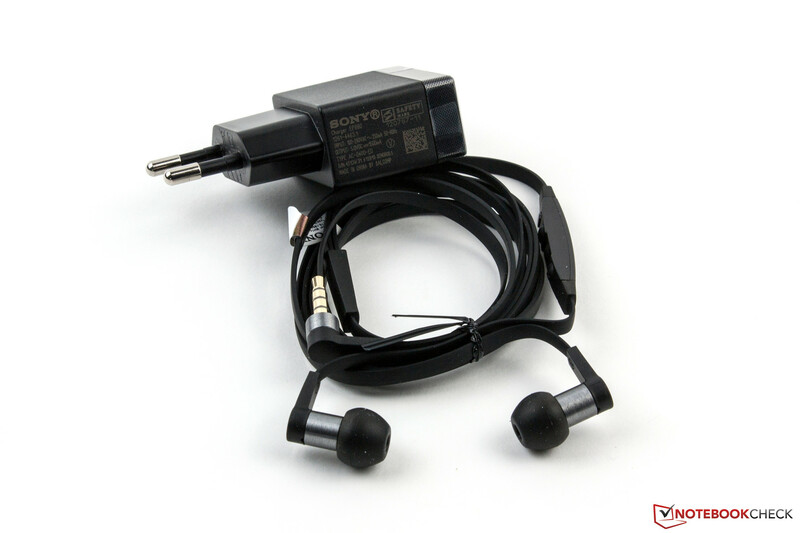 Sony reduced the range of accessories included in the packaging. 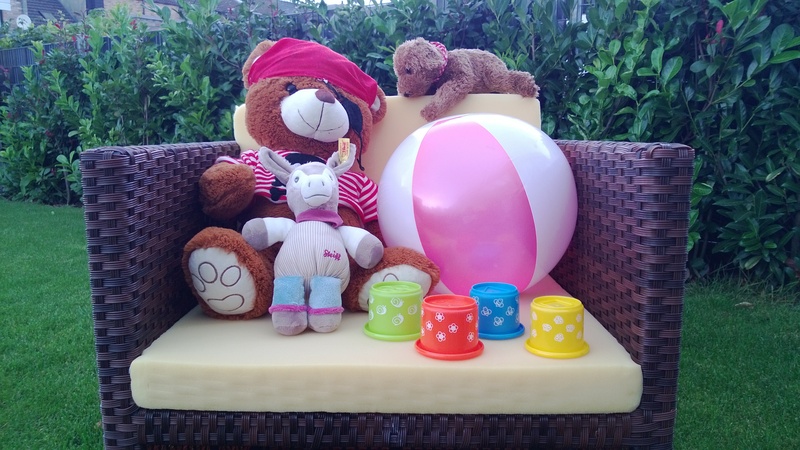 The high-quality materials and very good manufacturing are unrivaled. Also, the IP certification is a real boon. Sony could have kept the docking station in the packaging, since the covering over the USB port doesn't need to be constantly removed when the station is connected. Sony still doesn't manage to build a panel with stable viewing angles into their flagship. We expected more, especially given that this component is such a decisive purchasing factor. Among others, the competition includes: the iPhone 5, Samsung Galaxy S4 and S4 Active, HTC One, HTC Butterfly, LG G2, Nokia Lumia 925 and 1020.